With Spring Break right around the corner, I’m sure many of you have plans to take time away and relax. One important aspect of spring break we discussed in our staff meeting Monday was Recovery and why taking time away benefits athletes. Most young athletes play sports year round which takes a toll on the body. 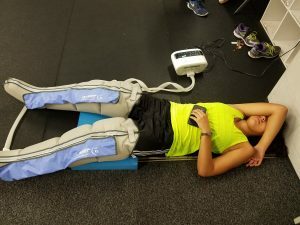 By taking 1 week to recover, the body heals itself from any previous injuries, mental fatigue and from the demanding practice and game schedules. Most importantly, athletes will come back with a renewed mindset and sense of vigor to attack their training and/or practice schedule harder than before! Athletes in the past have questioned whether a week is too much? The answer is no. In order for an athlete to lose significant gains from their training, they would need to stop for 3-4 weeks. They should view the week off as a component of training and part of the entire year. Like Usain Bolt says “50% of my training is sleep.” Usain Bolt along with other top athletes in sport understand the benefit of rest and how it allows them to maximize their performance and overall gains. -do an activity you don’t normally do like swimming, kayaking, ice skating etc. We hope everyone has a great Spring Break! PS – We still have some spots open if you haven’t signed up in March. If you sign up before April for a 3 day/week membership in our High School or Middle School speed & strength program, you get a FREE 30 minute Nutrition Coaching session. (valued at $79). Email us at info@premierfitnessoh.com to take advantage of the offer.